In one of my favorite movie scenes, a young fish confronted with what appeared to be insurmountable challenges was offered this advice: “Keep swimming, just keep swimming..... “ These simple yet impactful words from the cherished children’s movie, Finding Nemo, are probably familiar to many. While not verbatim, this was the essence of advice that my parents and family instilled in me. “Don’t give up.” Perseverance is at the heart of my next challenge in life that I’ve set out to accomplish. I am now planning on riding my bicycle from San Diego, CA. to St. Augustine, FL. together with 14 others. Beginning April 1st, 2019, for 48 days I will set out to cover the 3,058 miles. That’s a lot of days and a whole lot of miles. Why, you may ask, would I ever consider such a thing? This ride spanning the continent is to raise money to support our veterans. Those who have sacrificed so much for our country in Afghanistan and Iraq have inspired my challenge. Every dollar raised by my ride will go to Feherty’s Troops First Foundation, a nonprofit organization benefiting injured and disabled veterans who nobly served our country. It is my sincere hope that you would consider sponsoring my ride with a donation. I want to make this ride across America meaningful in a very real way, making a difference for those who have served our country. Each of those 48 days ... and each of those 3,058 miles I will be thinking of the good that will come to the vets served by Feherty’s Troops First Foundation. I hope that you will join me in this adventure to help those who have given so greatly to our nation. Your help with a donation of any amount will make a difference. In-person at any of our 3 Charley Family Shop ‘n Save Stores. Pittsburgh St, Route 66 and Murrysville. If you’re unable to support financially, you can help by sharing this note to let your friends, neighbors and associates know. 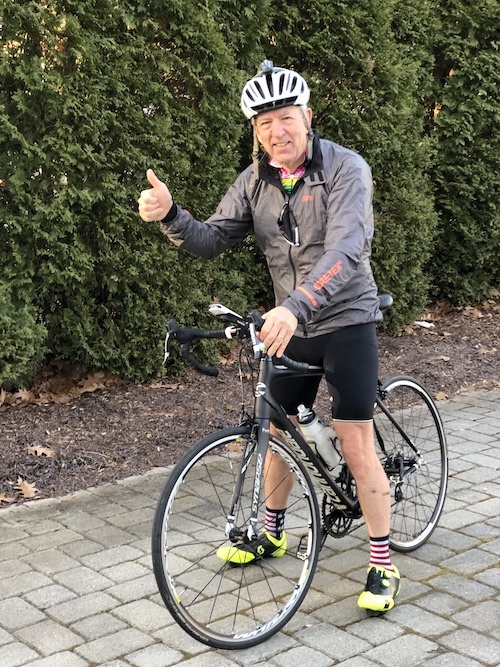 Please help raise the awareness of this graying retail grocer riding a bicycle across our wonderful country, from sea to shining sea.... that is a whole lot of pedaling. 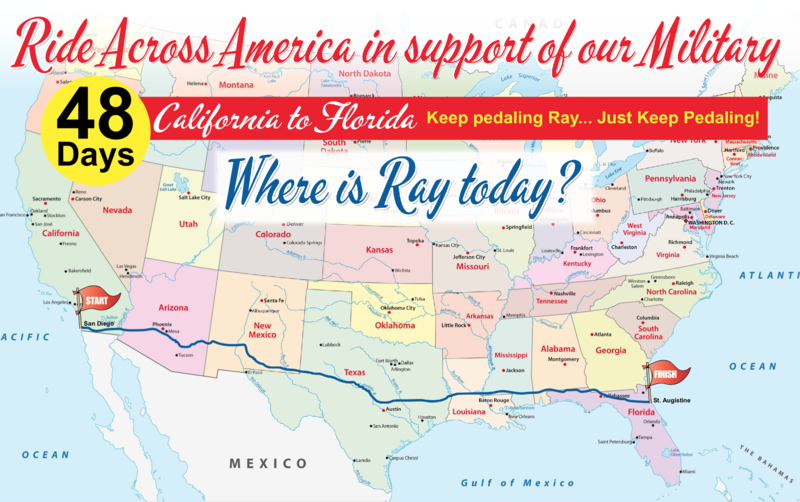 Track Ray's progress across the country on the Charley Family Shop 'N Save Facebook page.